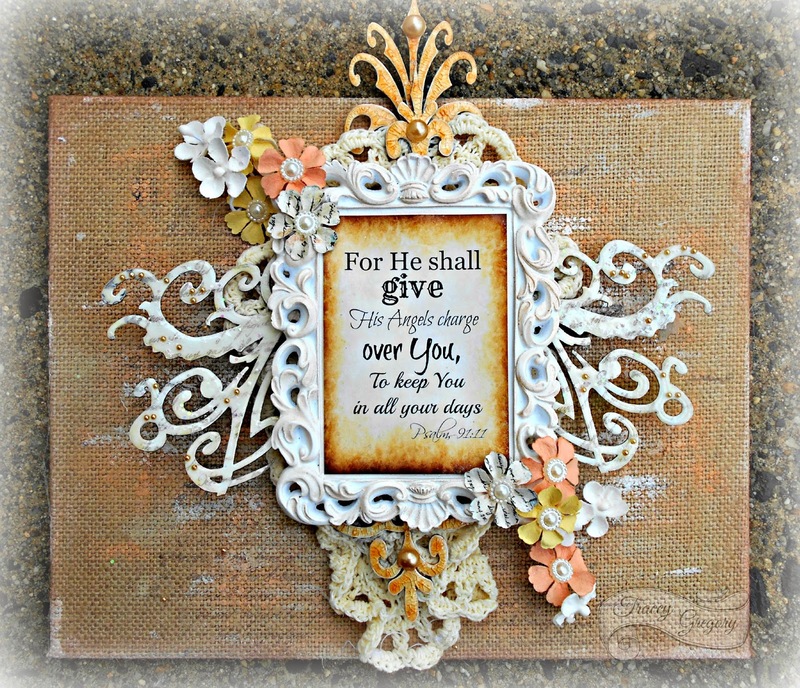 Leaky Shed Studio: Angel Canvas with Tracey G.
Angel Canvas with Tracey G.
Hello, lovely scrappy folks! 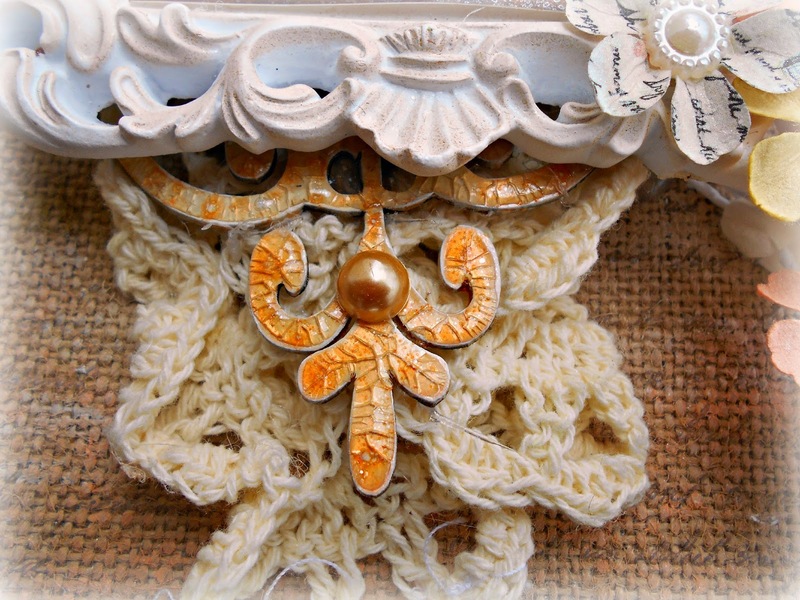 Tracey G. here to share my latest project using the wonderfully versatile Leaky Shed Studio Chipboards. Using just this Large Damask Flourish piece, I was able to separate 5 separate sections of detailed chippies for my project. I separated the side sections to use as angel wings. 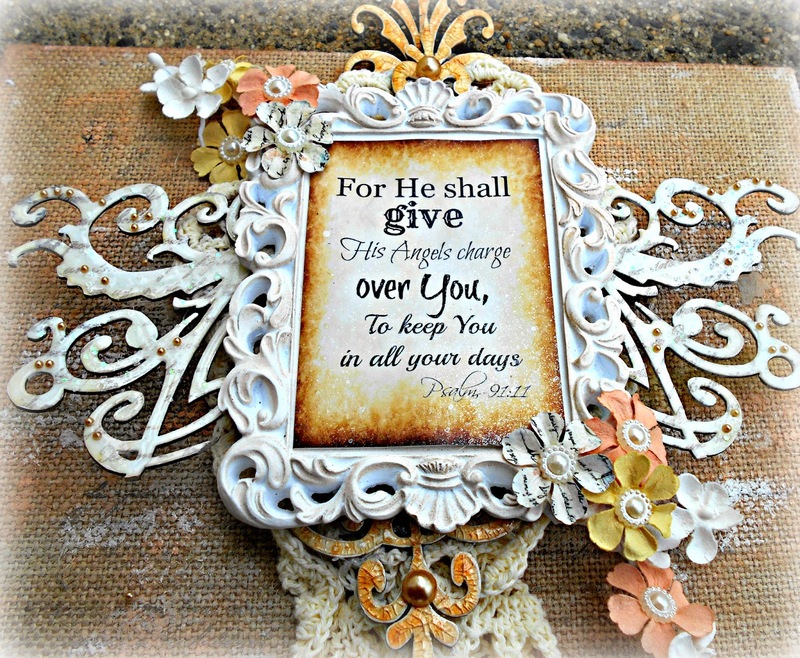 They were painted white, then stamped using the same script stamp as I used on the burlap canvas. As the glossy accent was wet, I sprinkled large cellophane glitter on it. Once dry, I added small pearls as accents. Then used the remaining piece to counter balance the dollar store frame. 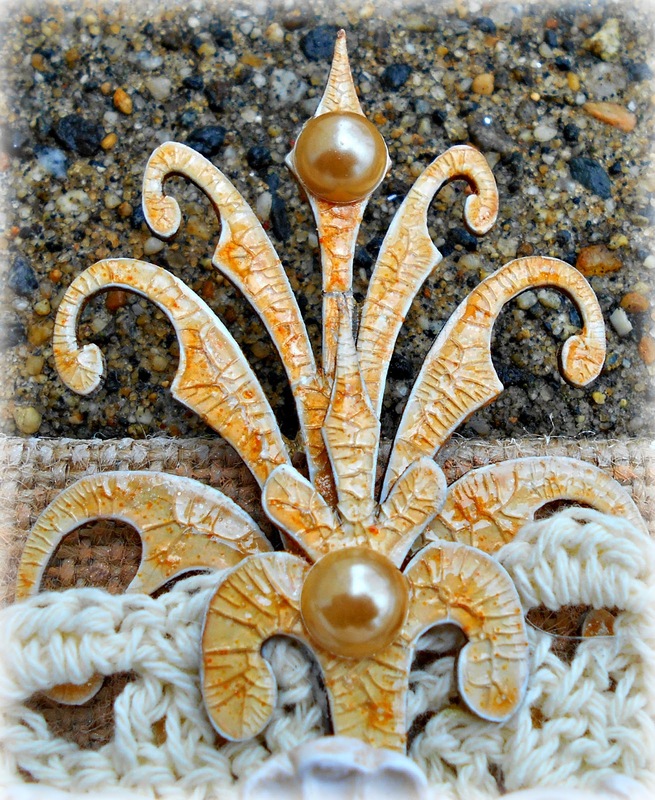 Some more pearls add to the glamour and add some smooth texture to the burlap canvas and crocheted doily. As always, this is a very 3D project! Thanks for stopping by today. 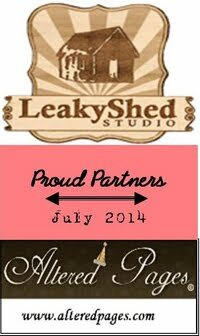 Be sure to stop at the Leaky Shed Studio Store to see all the new collections! 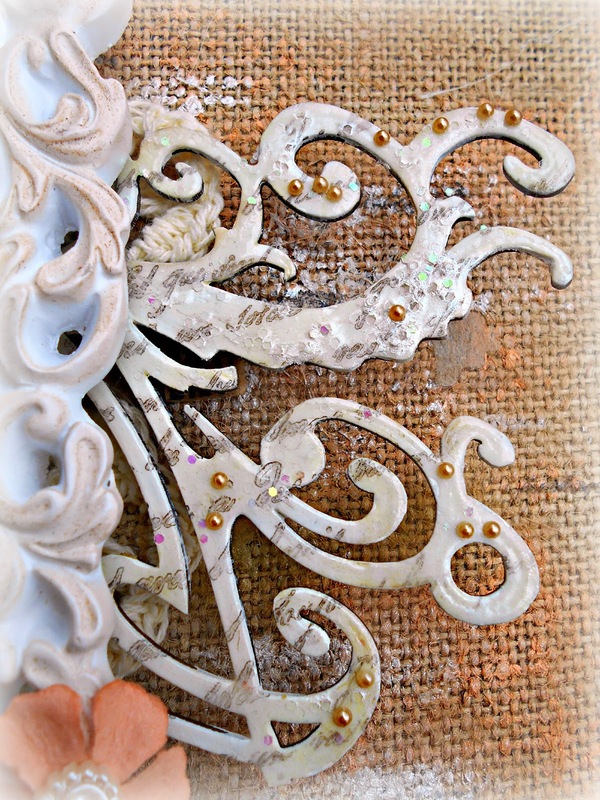 Mixed Media Layout with Tracey S.
Crackled Girly Grunge Chipboard with Tracey S.